We work to empower parents and whanau of the Manawatu to effect change by providing accessible and specialized services to enhance and support parenting and, in the process, eliminate child abuse. Parentline Manawatu Inc. was established in the early 1980’s when the Mental Health Association of Palmerston North saw a need for a non-governmental group to address child abuse prevention and parent support in Palmerston North. 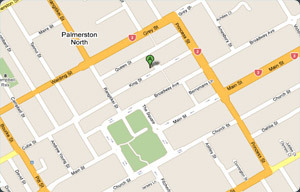 Parentline Manawatu is an independent incorporated society registered with the Charities Commission (CC22325). We are a member of Social Service Providers Aotearoa (SSPA) nationally and are a member of MAIN (Manawatu Abuse Intervention Network) locally. Parentline Manawatu has a small but expanding library of up-to-date parenting books and other media. Topics cover a wide range of the sorts of issues you might encounter as parents or caregivers of babies through to teens. Authors include such parenting gurus as Nigel Latta, Diane Levy, Celia Lashlie, Jo Frost, Ian and Mary Grant, Kaz Cooke and Steve and Sharon Biddulph. To borrow an item you will need to pay a $5 deposit which will be refunded on return. You are welcome to contact us to see if we have a particular book available.